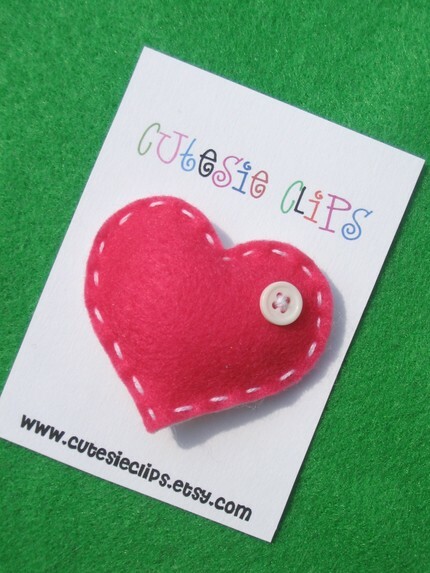 Cute, fun and colorful all describe Cutesieclips Etsy Store. Various cute shapes and characters are created out of colorful felt making pretty clips for little girls. My favorite is the PINK heart of course. In addition, these beautiful clips are reasonably priced ranging from $4-$6. Check out the Halloween collection at www.cutesieclips.etsy.com very creative.